Catherine Ceniza Choy is a UC Berkeley Professor and the Chair of the Department of Ethnic Studies. An interest in history and writing at a young age grew to a history major in college, doctorate in history, and then a career as a historian and ethnic studies scholar. 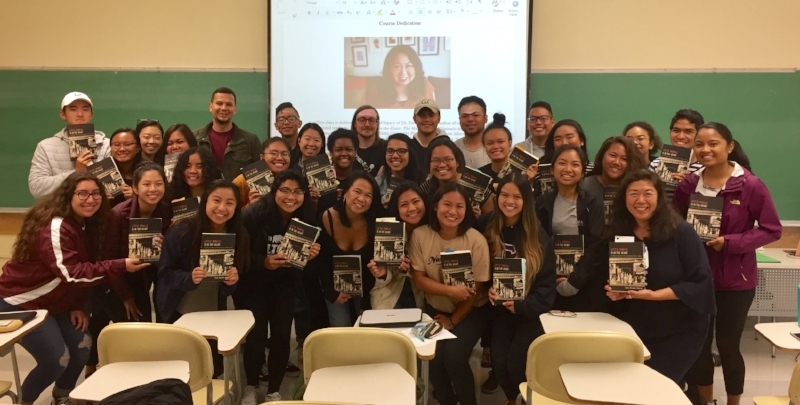 Her work as a historian, Filipino American history class at UC Berkeley, and lectures around the country allow her to share knowledge and encourage others to delve into their own personal histories, research Fil Am history, and provide visibility/representation of Asian Americans in academia. Author of Empire of Care: Nursing and Migration in Filipino American History (an exploration of reasons the Philippines became a leading exporter of nurses to the US) and Global Families: A History of Asian International Adoption in America (historical origins of Asian international adoption and family formation through global adoption), Catherine has an upcoming book about pioneering Filipina American women in the 20th century. How did you create your career path? Did you always want a career in higher education? I am the daughter of Filipino immigrants, a second-generation Filipino American, who was born and raised in New York City. Throughout my childhood and teenage years, I never imagined that I would be a university professor. Although many of my family members were college-educated, my Filipino immigrant family was more familiar with professions in financial, legal, and medical fields. Becoming an historian and ethnic studies scholar was initially not in my realm of possibilities. In high school, I realized that my interests lay in history and writing. I majored in history at a small liberal arts college, Pomona College in Claremont, CA. Faculty of color who specialized in African and Asian as well as U.S. history became my role models and mentors. Their teaching and scholarship inspired me to consider a career in academia. The summer before my senior year, I participated in a Minority Summer Research Program at UCLA that gave me the opportunity to conduct original research. I wrote a research paper about the pensionado program, an early-twentieth-century U.S. colonial government program that sponsored Filipino students to further their education in the United States. I loved this experience! This paper became the basis for my senior thesis. And I decided to apply to doctoral programs in history. My areas of research are Asian American history, Filipino American studies, immigration history, adoption studies, and nursing history. How important is Ethnic Studies to you? Ethnic Studies has enriched my life and continues to give it meaning and purpose. At UC Berkeley, I am proud to chair a Department of Ethnic Studies that is founded on commitments to the value of diversity, the fundamental equality of all human beings, and social justice. Since joining the Ethnic Studies faculty at Berkeley in 2004, I am in awe of our graduate and undergraduate students and alumni who have gone on to work in a diverse array of fields in the arts, education, law, health care, and more. They aim to not only excel or be good, but also to do good. Do you have any books that you recommend those interested in learning more about Filipino American history? I would recommend the following books, which I have assigned to my Filipino American History class at UC Berkeley in recent years: Abe Ignacio, Enrique de la Cruz, Jorge Emmanuel, Helen Toribio, The Forbidden Book: The Philippine-American War in Political Cartoons (T’Boli Publishing, 2004); Carlos Bulosan, America Is in the Heart (University of Washington Press, 1973 or 2014); Dawn Bohulano Mabalon, Little Manila Is in the Heart: The Making of the Filipina/o American Commuity in Stockton, California (Duke University Press, 2013); Evangeline Canonizado Buell, Twenty-Five Chickens and a Pig for a Bride (T’boli Publishing, 2006); Rudy Guevarra, Becoming Mexipino: Multiethnic Identities and Communities in San Diego (Rutgers University Press, 2012); as well as my book Empire of Care: Nursing and Migration in Filipino American History (Duke University Press, 2003). This is not an exhaustive list, of course, but these books provide an accessible overview of the ways that Filipinos, Filipino migrants, and U.S.-born Filipino Americans have shaped American and world history. I love many different things about the work that I do. But one of the things I love the most is how my Filipino American history-related research and teaching resonate with the Filipino American community. I teach Filipino American History at Berkeley almost every fall semester, and I give many invited lectures and presentations at universities in the U.S. and abroad. When Filipino American students and community members tell me that my scholarship on Filipino nurse migration has helped them understand the histories of their families and their communities, when they relate that I am one of the few, or even the first, Filipino American scholar who they have seen give an invited lecture at their university, and when they share that my writing inspired them to pursue their own research on Philippine and Filipino American studies, I am deeply moved. My Filipino American community uplifts me in so many ways. I would not have been able to earn a Ph.D. and write Empire of Care without the support of my Filipino American family and the community. Although she did not know what a career in history could look like, my mom supported my passion for historical research anyway because she understood that it made me happy. The pioneering Filipino American historian Barbara Posadas offered crucial professional encouragement and advice during my early graduate school years. Over forty Filipino immigrant nurses agreed to be interviewed by me, sharing life histories that would enable the writing of my dissertation and first book. 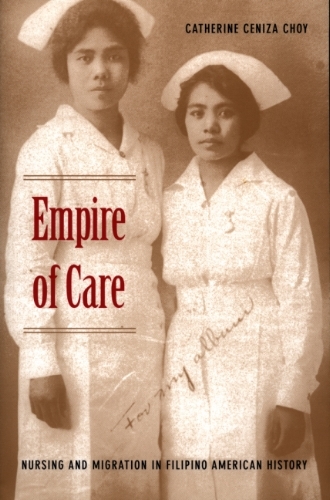 The co-founder of FANHS (Filipino American National Historical Society), Dorothy Cordova, gave me permission to use a photograph from the National Pinoy Archives for the cover of Empire of Care. My community continues to uplift me by engaging with Filipino American history as readers, creatives, and knowledge-producers. History belongs to all of us, not just academic historians. We all participate in history by what we choose to document and to remember. I love how Filipino Americans are sharing their own stories and other Filipino American stories as writers, visual artists, choreographers, performers, podcast producers, and more. In The Heart Stories is a beautiful example of this creative spirit. When I studied Philippine history in graduate school, a professor lectured about the “three C’s” of Philippine history: colonialism, Catholicism, and capitalism. I want to think of the “three C’s” in a different way to answer this question about what has been instrumental to my personal and professional growth. Those three C’s are: community, curiosity, and confidence. For me, building self-confidence has been the most challenging of the three. If you feel similarly, find a community that will help you cultivate it, or nurture your curiosity and read up on the myriad of ways to develop it. I encourage students to develop their unique voice and to own their accomplishments. I am excited to be working on a book project featuring biographies of Filipino American women whose lives span the twentieth century. The women who I have been researching thus far include Encarnacion Alzona, the first Filipino woman to earn a Ph.D.; Ines Cayaban, an advocate of women’s health and cancer prevention; Victoria Manalo Draves, an Olympic gold medalist in diving; and Pacita Abad, a prolific and innovative visual artist. The book’s premise is that their pioneering work in education, nursing, athletics, and art gives us a fresh lens to view the history of U.S.-Philippine relations and of the Filipino diaspora in the United States and beyond.